We’d love your help. 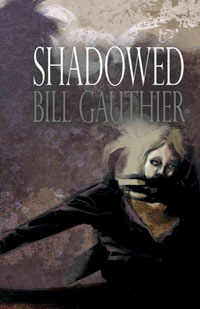 Let us know what’s wrong with this preview of Shadowed by Bill Gauthier. From the corner of her eye, she sees him: A shadow-man frenetically moving, reaching out for her, yearning. Fear grips Gina Copeland. Her life has been turned upside down by her parents’ recent divorce and a move from her childhood home. Her friends have grown more distant as new friends and interests have come into their lives. The Shadow-Man can’t be real. Can he? She feel From the corner of her eye, she sees him: A shadow-man frenetically moving, reaching out for her, yearning. Fear grips Gina Copeland. Her life has been turned upside down by her parents’ recent divorce and a move from her childhood home. Her friends have grown more distant as new friends and interests have come into their lives. To ask other readers questions about Shadowed, please sign up. Loved it! Another home run from Mr. Gauthier. Bill Gauthier lives in Southeastern Massachusetts. His collection Catalysts was published in 2007 by Dark Discoveries Publications and his novellas Alice on the Shelf (Bad Moon Books) and Shadowed (Delirium Books) were published in 2011.